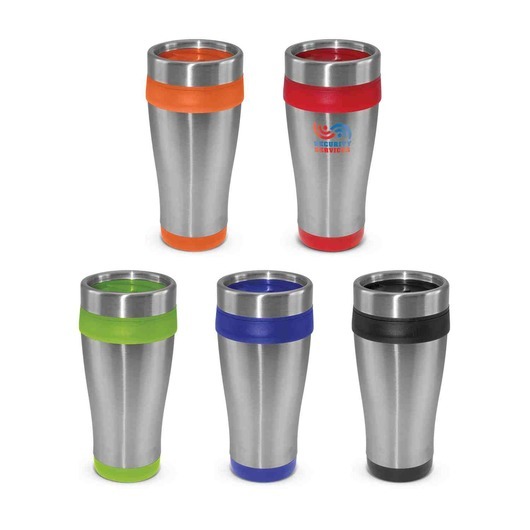 A resilient travel mug that will be your newest favourite travel companion, they have a traditional design and feature your logo. The perfect companion to enjoying a hot coffee or tea in the morning while you're on the go to work or uni. 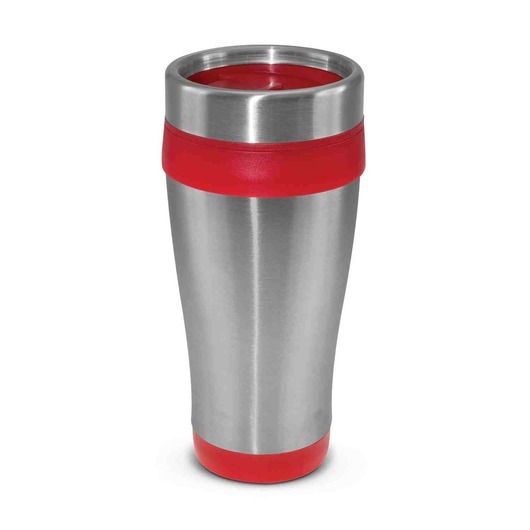 They have a capacity of 350mL and feature a double wall thermal design with a tough stainless steel outer wall and plastic inner, as well as a secure screw on lid. 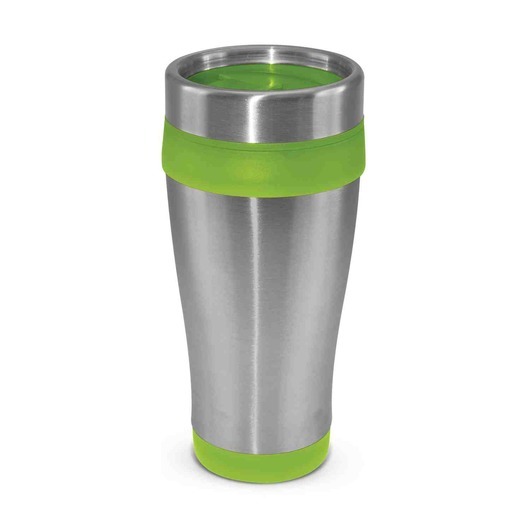 We do not recommend you use these with a dishwasher and they laser engrave to a natural etch.